As National Flossing Day approaches on November 29, everyone’s talking about flossing facts. We all know that we need to floss, but we may not know the right way. Fortunately, good flossing form is fast to learn and even easier to do. By following these easy tips, you’ll have full command of the strand. 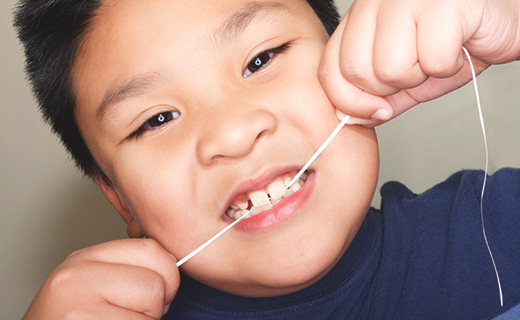 Take approximately 18 inches of floss and hold it tightly between your thumbs and index fingers. Slide the strand between your teeth, and then glide it from the top to the bottom of the tooth. Carefully curve the floss around the base of the tooth and gently slide it beneath the gumline. Remove the floss slowly to avoid damaging the gums. Then repeat for every tooth with a fresh section of floss. Now that you’ve got the knack for flossing, you need to get the right tools. The two main types of floss are nylon and PTFE. Nylon floss comes in waxed and unwaxed versions, as well as many flavors. A common issue with nylon floss is that it’s prone to shredding and tearing. The other form of floss is PTFE, which is known not to shred but may be more expensive. Both types are recommended by family dentistry experts at Manatee Dental At College Plaza in Bradenton, so pick the pack that’s best for you. As you can see, flossing is something we all can do, and now it’s a habit you know you’ll do well.